Sweet, salty, and just spicy enough, this party mix hits all the right notes. 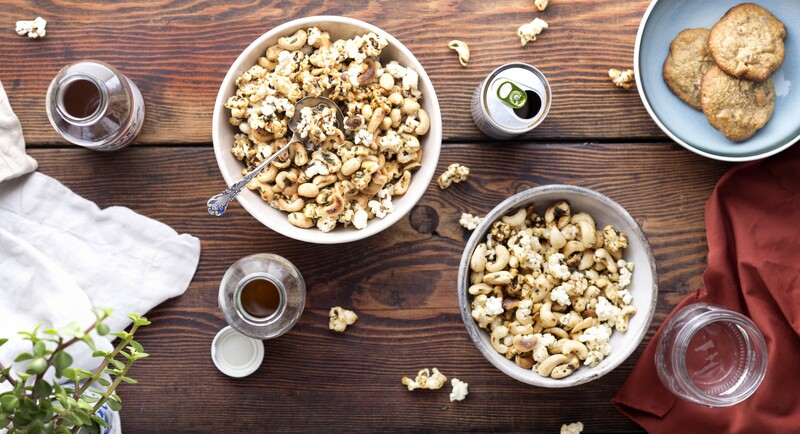 You won't be able to stop noshing on the combination of fluffy popcorn, roasted cashews, fresh rosemary, melted butter, and a touch of brown sugar. Place cashews on baking sheet and roast in oven for about 7 minutes, or until golden. Meanwhile, combine rosemary, cayenne, brown sugar, salt, and butter in large bowl. 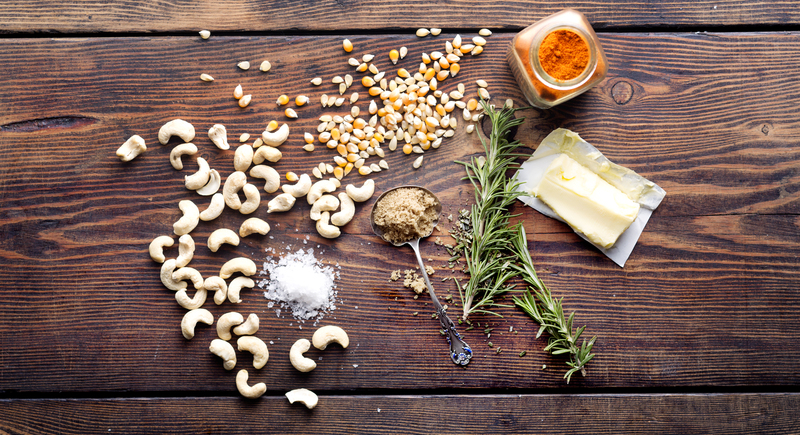 Toss warm nuts and popcorn with rosemary mixture until fully coated. Let cool before serving.